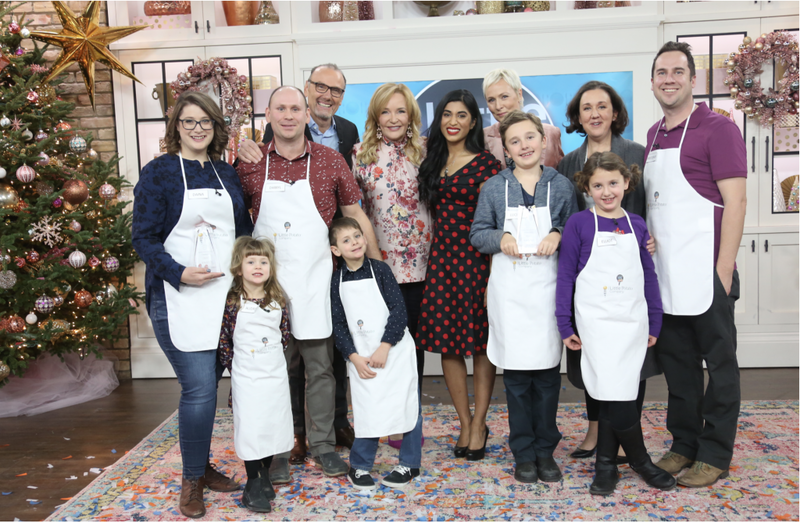 TORONTO (December 20, 2017) – CTV’s THE MARILYN DENIS SHOW and The Little Potato Company held their annual Little Chef Family Edition Competition on today’s episode of the daytime series, which declared both semi-finalists, the Bell and Sparling families, from Comox, B.C. and Edmonton, Alta. respectively, champions of the cook-off series. Culinary experts including Chef Michael Bonacini, Vijaya Selvaraju, and Angela Santiago, the Co-Founder and CEO Of The Little Potato Company, served as judges for the family cook-off, which proved to be too close to call. In the end, each family was awarded a trip to Tuscany, Italy. Valued at $15,000 each and courtesy of The Little Potato Company, the trip includes airfare, accommodation, and an exciting culinary experience. Sparling and Bell families, from Edmonton, Alta. and Comox, B.C. respectively, announced winners of THE MARILYN DENIS SHOW and The Little Potato Company’s Little Chef Family Edition Competition. During the cook-off, the Bell family made pork tenderloin stuffed with green veggies, roasted winter root, and mashed Little Potatoes. The Sparling family made Little Potato gnocchi, Little Potato Skins, and caprese skewers. Visit Marilyn.ca to view the full episode online. This was the third year of the Little Chef contest. 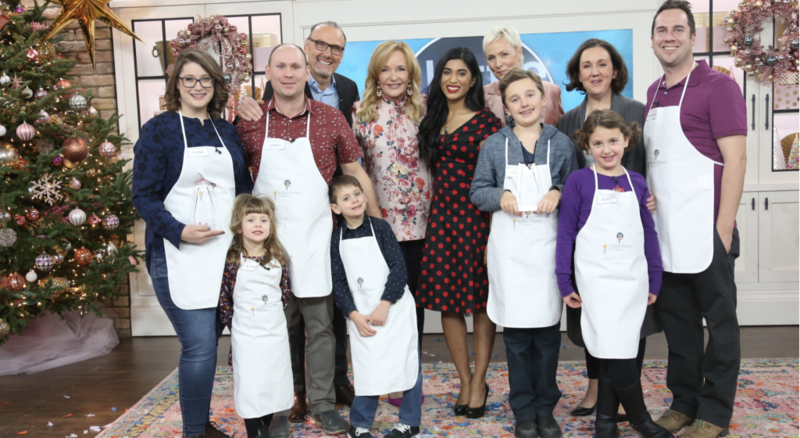 THE MARILYN DENIS SHOW and The Little Potato Company would like to thank all those who took the time to enter the competition and show off their cooking skills. Video submissions came in from across the country following the casting call on Sept. 11. Eventually, the list of thousands was narrowed down to 10 semi-finalists. From there, submissions were voted on by viewers online at Marilyn.ca, and the Top 2 finalists were determined. The Little Chef Family Edition Competition was promoted and featured at major retailers across Canada and supported at store level with “Little Chef Program” support material and promotional programs. THE MARILYN DENIS SHOW airs weekdays at 11 a.m. ET / 9 a.m. MT on CTV and CTV GO.